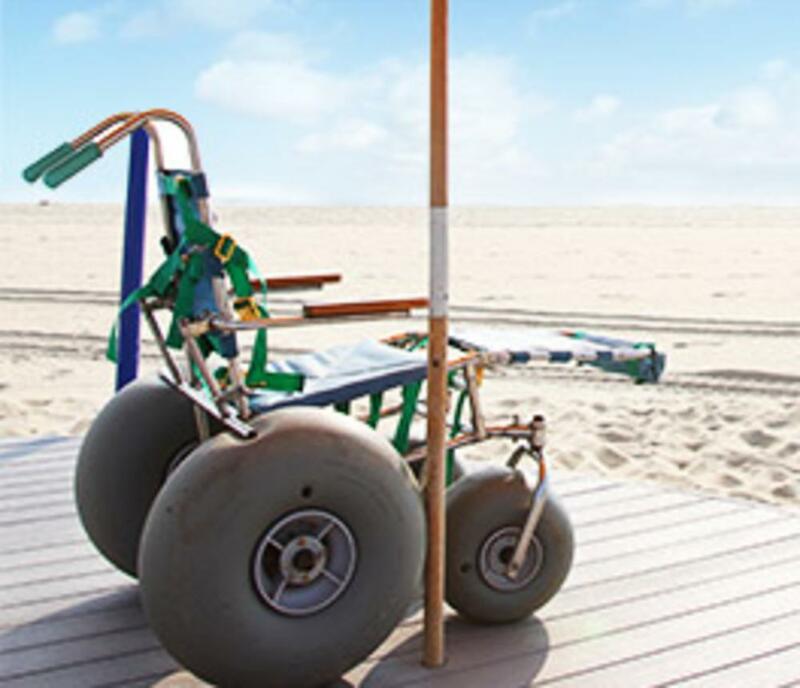 The City of Virginia Beach provides all terrain wheelchairs for beach goers with disabilities that are ready to roll on the ocean front for your convenience. 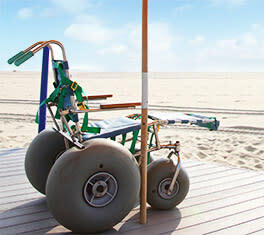 You'll find them on the sand in a storage container on 24th and 17th streets at the bottom of the beach ramps. These wheelchairs are free and open to the public, but as there is a limited supply, we ask that you call the phone number on the back of the storage container to reserve the chair for 1/2 day increments, and that you don't travel further than 2 blocks away from the storage container. These chairs are available from Memorial Day to Labor Day.